Enjoy a delicious dessert reception as we play several rounds of BINGO. 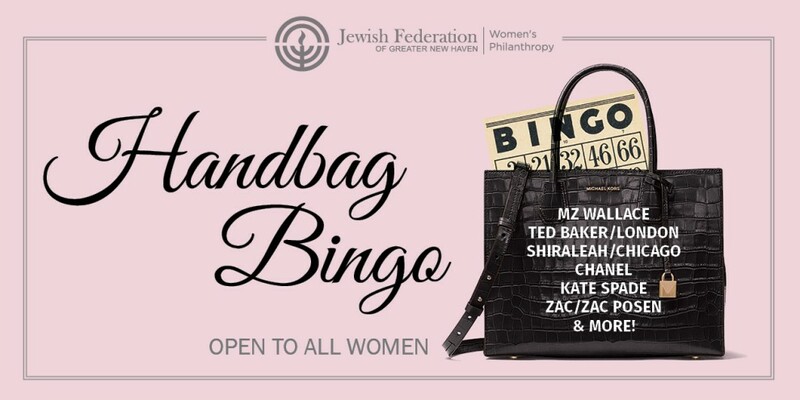 Prizes include unique handbags and more! Featuring handbags by MZ Wallace, Tory Burch, Ted Baker/London, Shiraleah/Chicago, Chanel, Michael Kors, Longchamp, Kate Spade, ZAC/Zac Posen & More! Event sponsorship will support PJ Library and Alma Pre-Military Academy for Female Leadership. Please bring a nonperishable food item for JFS Food Pantry.